Welcome to our page where we can share with you, our love of the Nova Scotia Duck Tolling Retriever. We purchased our first toller in early 2003 and were blessed with beauty and brains, as well as a truly wonderful companion! Rogan was a perfect fit. Since that time, we have been proud to spend the time to prove the versatility of the dogs we own and love. Our dogs have excelled in many different venues to prove the versatility we wish to produce. As a breeder we strive to - develop proper structure for the breed, have a healthy outlook by providing up-dated genetic testing for health concerns in the breed, keep the working/hunting attributes of the breed while maintaining the playful nature of a companion dog through a selective breeding program. We will not be breeding quantity but our intent is to breed quality according to the Nova Scotia Duck Tolling Retriever Club of Canada's Breed Standard and an all-round companion dog. It is our opinion that this breed is best-suited to a family that has an active lifestyle. We recognize that active lifestyles vary, from a love for waterfowl hunting or a more leisurely lifestyle of nature hikes or long walks. 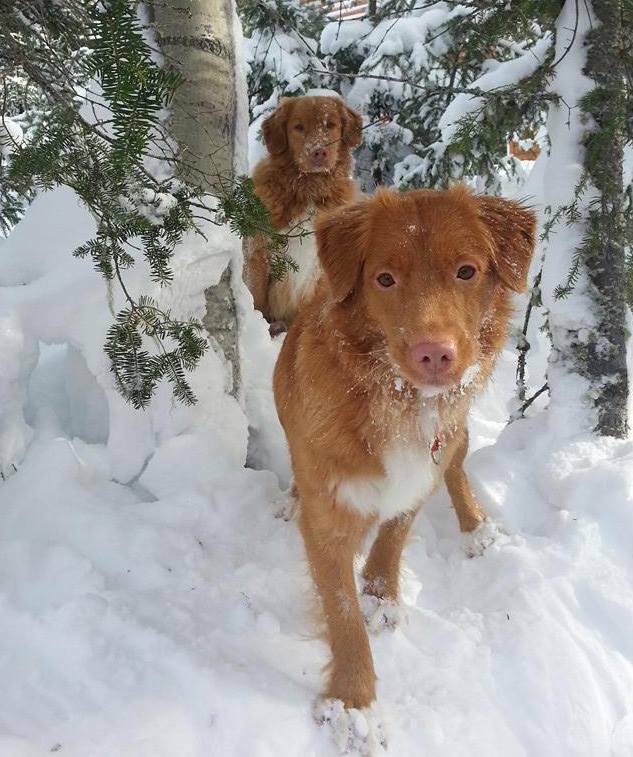 Nova Scotia Duck Tolling Retrievers make great companions for people or families that want to share their lives with a dog that likes to keep busy!